In translating and commenting on the Nibbedhika Sutta a few weeks back I neglected to tie my comments in with another idea I have been working on for some time. It's not an obvious proposition that intention is the ethically significant aspect of morality, and some people struggle with this. I think it is because we are mistaken about the range or domain (visaya) in which the teachings apply, and the equation of cetanā and kamma is actually a clue in the puzzle. I've been researching the way the Buddha talks about paṭicca-samuppāda to try to discern where he thought it applied. We Buddhists are all familiar with the idea that "everything is impermanent"; we often say "all things arise in dependence on causes" but I keep asking the question "what is meant by 'everything' or 'all things'?" I'm working through this territory in a long essay, that has been evolving over a couple of years, and questions some of the basic assumptions in these slogans. I've already written about the question what arises in dependence on causes? The short answer is 'dhammā'. Dhamma can be translated as 'thing', and it is sometimes that general in Pāli. But in terms of 'arising' it is not talking about things generally, but about mental processes. On the whole it is mental processes that arise in dependence on causes. This raises the question of why we talk of paṭicca-samuppāda as a general theory of conditionality? I've also talked about 'the world', and how the world for the Buddha was the world of experience. The very word 'loka' implies the visible world, the sensual world, but a series of other texts make it clear that 'the world' in this context means "one's world". Our own world is neither objective nor subjective, but it arises out of the interaction of the two poles. See for instance M i.259: ‘The consciousness that arises with forms and the eye as condition is called eye-consciousness’ (cakkhuñca paṭicca rūpe ca uppajjati viññāṇaṃ cakkhuviññāṇant’eva sankhaṃ gacchati); or M i.111: ‘dependent on the eye and forms, eye-consciousness arises: these three together constitute contact’ (cakkhuñcāvuso, paṭicca rūpe ca uppajjati cakkhuviññāṇaṃ, tiṇṇaṃ saṅgati phasso). This world, this experiential world, is the stage upon which we play out our lives. Not only this, but the texts make it clear that loka is synonymous with dukkha. Both are described in precisely the same terms as the product of paṭicca-samuppāda. I have not found any reference to a text saying that an external object arises in dependence on causes, and I would be very interested if any reader could turn one up. I'm summarising 9,000 words of argument and textual citation here, but what starts to emerge is that the Buddha doesn't seem to think of paṭicca-samuppāda as applying to the world in general, only to the experiential world arising out of contact. To make the point I offer a thought experiment. Imagine a diamond in ancient India at the dawn of the second urbanisation, say around 1500 BCE. It is polished and sparkling. We can see it, and touch it, but don't have microscopes or lens; and our theory of elements doesn't give us the kinds of insights that modern chemistry and physics do. It is handed down from generation to generation and apart from gathering a little dust, it does not change for a thousand years. This is part of the value of a gemstone: time does not diminish or tarnish it. After a thousand years no one can remember any details of its provenance. It is as it is, and always has been - unchanging. The Buddha is born 1000 years later, and meets the present owner of the diamond. He sees it, and holds it. He questions the owner about it. 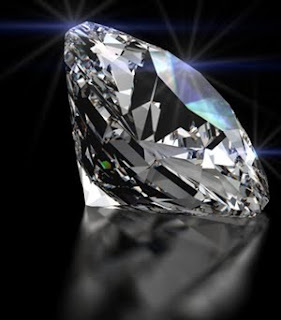 For all intents and purposes he establishes that the diamond has never changed (in living memory) and there is no real prospect of it ever changing. It is not quite true to say that everything changes, or at least we can say it is not possible to know that this is true. If the Buddha was intellectually honest (and I'm assuming that he was) then there were many objects in his world that did not appear to change in the span of living memory, and to say that they did change would not be relying on experience. What I conclude is that paṭicca-samuppāda was applied only to the experiential world; and was not intended to apply, and in fact does not apply, to the world of sense objects in the Buddha's teaching (there is no world of ideal objects inaccessible to the senses in Buddhist epistemology since we could have no knowledge of them). However it is very easy to show, and to understand, that even with reference to a hypothetical unchanging object, that the world of experience arising from contact between that object and our subject is one which is which constantly changing. Experience fully conforms to paṭicca-samuppāda under all circumstances, and this way I, incidentally, side-step the potential charge of eternalism. No doubt there is cause and effect in the objective world, but physics is a much better description of this than Iron Age Buddhist theories. On the other hand though physics has produced many marvellous discoveries, it has liberated very few minds. In fact the European intellectual tradition has been aware of the changing nature of things as long as the Indian tradition - going back to Heraclitus at least. We all understand that things change, that everything changes. The Buddha often says "I teach dukkha and the way to make dukkha cease". I think he was speaking quite literally; I think he was not offering an insight into The World, but only into our own world, into our relationship with experience, and how a dysfunction in that relationship causes us suffering. I believe that this is no less profound, but brings the Buddha's insight out of the realm of mystical experiences, inaccessible to the great majority of us, and into the realms of possibility. I believe that any one of us can, with some effort, have this life-changing, world changing insight. I don't discount that it might have a mystical dimension, but I don't see bodhi primarily in terms of mysticism these days. Of course it was Buddhists themselves who developed the Buddha's initial observations and exposition in the direction of a generalised theory of conditionality. Why Buddhism developed in this metaphysical direction is an interesting question, but one that I haven't the space to pursue. If we understand conditionality in the way I've outlined, then the equation of kamma and cetanā becomes clearer. Cetanā is so vital to Buddhist ethics because Buddhist ethics applies in the realm of the dependently arisen mental processes, and it is in this realm that we have most influence. We might not be able to change the world, but we can certainly change our own minds. image: Phillip Stoner The Jeweller. For, who could resist a diamond seller called 'Stoner'? A General Theory of Conditionality? Paṭicca-samuppāda - a theory of causation?